Gone Baby Gone – Did You See That One? After a young girl is abducted her aunt hires two inexperienced private detectives (Affleck, Monaghan) to aid in the search. They soon find themselves tangled in a mystery alongside the police. This mystery soon pushes them further than they expect and threatens their personal and professional lives. 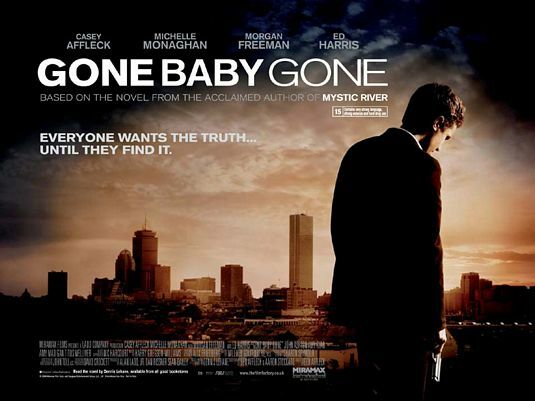 This mystery thriller comes from the 1998 novel Gone Baby Gone by Dennis Lehane (Mystic River). 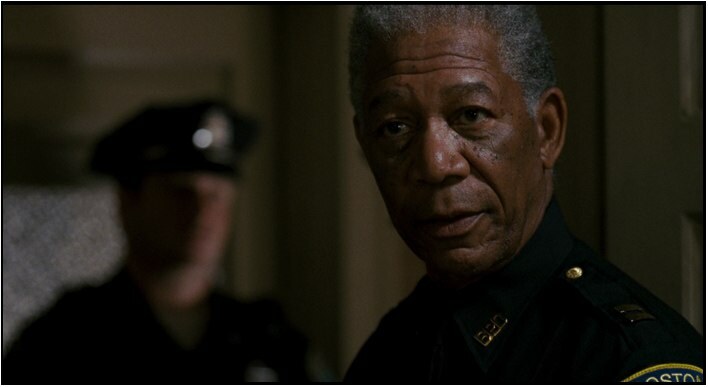 The screenplay was written by Ben Affleck (Argo) and Aaron Stockard (The Town). Affleck also made his directorial debut with this film. The movie stars Casey Affleck (The Assassination of Jesse James by the Coward Robert Ford), Michelle Monaghan (Machine Gun Preacher), Morgan Freeman (Million Dollar Baby), and Ed Harris (A Beautiful Mind). Amy Ryan (Birdman: Or (The Unexpected Virtue of Ignorance)), Amy Madigan (Field of Dreams), and Titus Welliver (Transformers: Age of Extinction) are also featured. This, like most of Dennis Lehane’s work, is a dark story that lives on the fringe of society. Like Mystic River this one deals with the most horrific of crimes and the people who suffer from them. The writing opens on a series of small moments that really establish the world of the film. The dialogue is strong, and plays on the unique accents and personalities of the characters. The twists and turns of this film come together nicely, and really help to keep the suspense building. This is a film that doesn’t allow much time for being comfortable before pulling the rug out from under the audience. The story is very gritty, and things never seem to lighten up. There are some moments in the final act of the film that seem a bit too prolonged, but it’s not a major issue. The payoffs in this film are worth it, and this is a really good story overall. The acting in this film is also really solid. Casey Affleck leads the way with a strong role that is mature and well-executed. His ability to adjust to the circumstances of the moment fits with the way his character is written. He’s also good with the physical aspects of the role. His work is definitely one of the better aspects of the film. He’s joined by a number of talented people including Michelle Monaghan. She’s nicely cast opposite Affleck, and the two create some good chemistry with their roles. 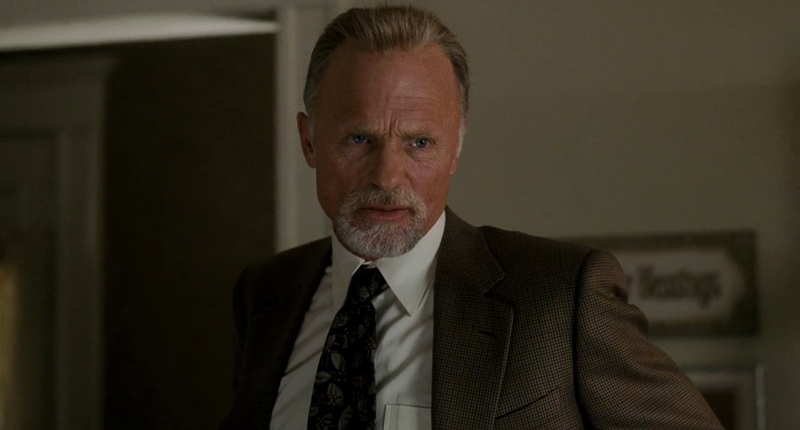 The performances of Ed Harris, Amy Madigan, Titus Welliver, and Morgan Freeman are all strong in this film. Each of them was given a complex emotional role to play in the story. Their performances help to bring the sense of dread and tension that this story required. One of the standout performances of this film is the work from Amy Ryan. She brings out the worst in her character with a complicated and sometimes distressing role. Her work was good enough to earn her nominations from the Golden Globes, Screen Actors Guild, and the Oscars for Best Supporting Actress. This movie lives in the shadows and seedy bars of Boston. The camera work, set design, and other production aspects all come together to bring this to life. This includes a number of perfectly chosen locations. Overall, this one looks right for the subject matter of the film. It also sounds good thanks to the score. Composer Harry Gregson-Williams (The Town) did a nice job finding the right sound for this one. Overall this is a really good film. It’s not perfect, but it tells a very gritty story and provides all the right twists and turns. If you’re a fan of movies like Gone Girl or Mystic River, this is one for you. I would also suggest this to fans of any of the stars. I give this one 4.4 out of 5 stars. Pingback: Bridge of Spies | Did You See That One? Pingback: Triple 9 | Did You See That One?